An intoxicated man on a Virgin Australia flight from Brisbane to Bali caused more than the normal in-flight ruckus Friday, triggering a hijacking alert for the plane with 137 passengers on board. Bloomberg reports 28-year-old Matt Christopher Lockley alarmed the cabin crew as he attempted to enter the plane's cockpit an hour before landing. Indonesian authorities interpreted the kerfuffle as a hijacking, though Lockley never breached the door and was restrained by staff. He was later cuffed and had his blood tested for alcohol and drug use, while the plane landed an hour later than planned in Bali. 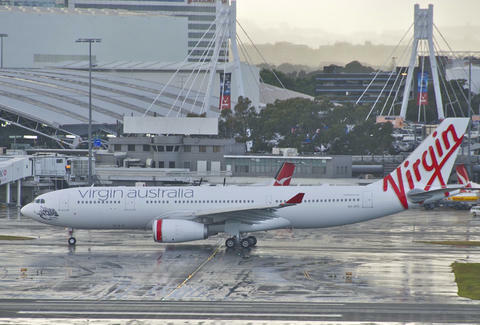 According to the Sydney Morning Herald, Ngurah Rai airport was closed for several hours because of the alert, and nine planes were diverted to land elsewhere in Indonesia. So far, no one knows for sure what the Billabong-clad Aussie was thinking as he banged on the cockpit door. "The police are having difficulty digging up information on what he intended to do because he is still in an unstable condition," a police official told Reuters. Although a Virgin spokesman said the incident was "a hundred percent not a hijacking," one thing is already clear: Matt Christopher Lockley is a one-man party. Chloe Pantazi is an editorial assistant on Thrillist's travel team. She's gonna start watching the number of mini Jack Daniels bottles she collects from her travels. Follow her on Twitter at @ChloePantazi.